Such a beautiful vista from the winery overlooking part of the Snake River AVA. Here is what they are doing this weekend at the bistro. It looks like Chef Storm is going to be busy. We are open Friday 12 – 7 p.m., Saturday 12 – 5 p.m. and Sunday 11 a.m. – 5 p.m. offering our Regular Menu and Wine Tasting each day — and Happy Hour Specials Friday from 4-7 p.m. and Sunday Brunch Specials. Reservations recommended for groups of 4 or more if dining in the tasting room. NEW – Beef Tenderloin with a Red Wine-Demi Glace over Mashed Potatoes with Grilled Asparagus and Fresh Baked Bread – $10.95 (Storm ran this last weekend and customers were wowed!– See photo below if you would like your mouth to start watering). We are now offering our 2015 Dry Chardonnay, Dry Riesling and LaRea Dolce Sweet Riesling while dining in the tasting room. 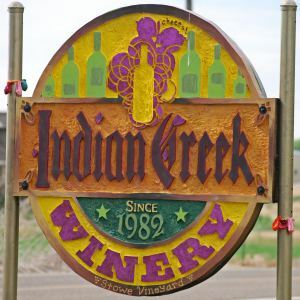 Posted on Thursday, March 17, 2016 by Bob and RobinPosted in Beef, Bistros, Idaho AVA's, Idaho Beef, Idaho Wines, Local Events, Parma Ridge Bistro, Parma Ridge Specials, Parma Ridge Vineyards, Parma Ridge Winery, Party Time, Photos By: Stephanie Hodge, Special Information, What's For Brunch?, Wines of IdahoTagged Parma Ridge Bistro, Parma Ridge Winery. Previous Previous post: Great Breakfast!